"We are also able to customise courses for your specific needs!" Ideal as a present, you hire a car and a qualified instructor for one-to-one tuition and have the option to take friends and family along for the ride. 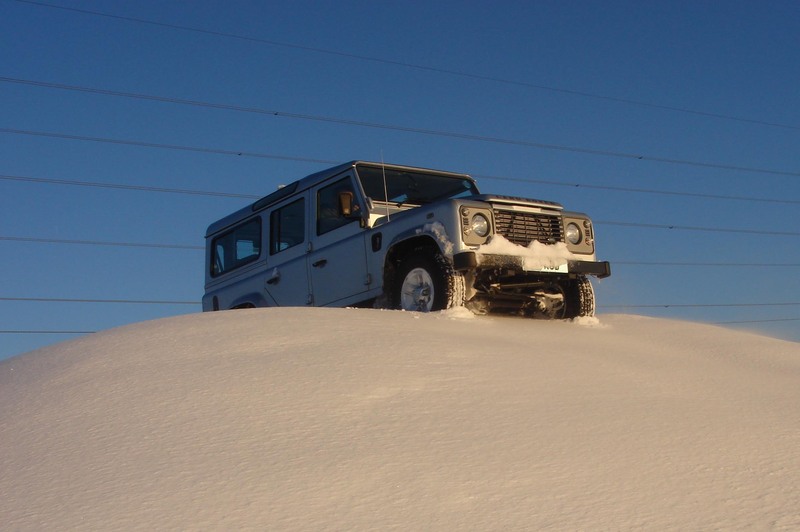 This half day course is designed to give you the opportunity to see just what a four wheel drive vehicle can do; to explore the limits of both the vehicle and yourself. Under the watchful eye of your personal instructor, you will be introduced to a variety of natural and man made hazards which become progressively more demanding as the course develops. This is a learning process and, of course, you are never put into a situation that you are not capable of handling. You also learn how these techniques can be applied to on-road driving either in two or four wheel drive vehicles. 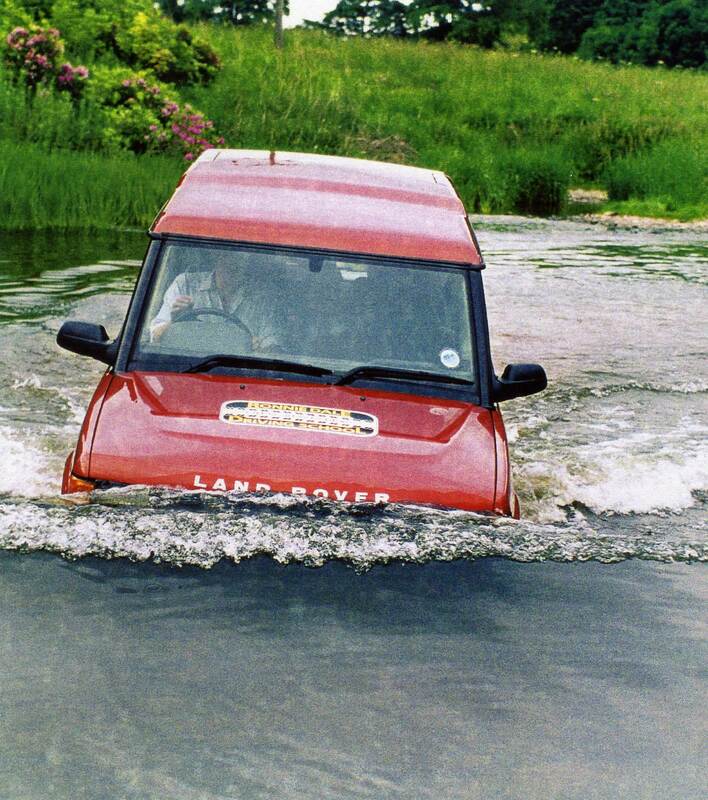 This is a full day course designed to progress from the introductory course and covers all aspects of driving off road. The course starts off in the Training Area and the skills learned here can be put into practice after lunch on the Adventure Trail which covers 2,000 acres of hill and forest. Lunch is included in the cost of the day. This is structured to supplement the full day course; a second day gives you the opportunity to drive on the boggier grounds on our private estate. 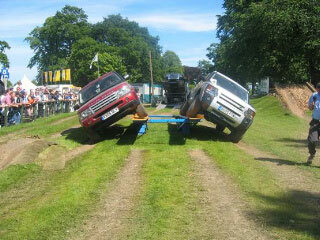 Advanced topics such as winching, recovery and towing are included if they are of interest to you. Throughout all of our courses, consideration for the countryside is important and by learning correct techniques you can help to respect the country code. For those wishing to have a full hour on the mini quads we offer farm treks, similar to pony trekking but on four wheel bikes. We spend a short period of time getting the children used to the bikes on a course nearby after which they go on a trek around our 500 acre farm. A lead bike goes with them so the children are fully supervised at all times. Crash helmets are provided, children are requested to wear warm clothing, gloves and wellington boots in case of bad weather. Attractive gift vouchers are available for birthdays, Christmas etc. 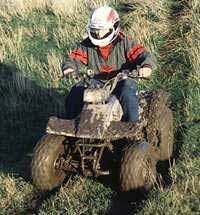 Large quads can also be hired for adult participation. With the benefit of more than 25 years experience on any terrain possible, we can design and build a driving course or a single obstacle that will test man and machine to the limit. 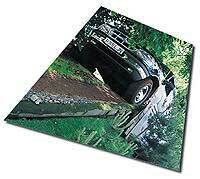 Structures can be portable or static and can be designed to show the vehicle at its best. 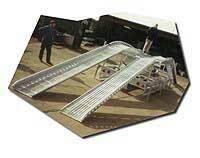 These designs can be very cost-effective and can include the rolling-road and our famous see-saw. Delighted customers include: Ford Motor Company, The Irish Motor Show, Jeep, Vauxhall Motors, Royal Highland Show and Royal Tournament.